A "racial reconciliation" movement is spreading within American Christianity. While such a goal is laudable in itself, it cannot be successful if based on "zeal without knowledge." It has become fashionable for White people to assume most, if not all, of the responsibility for the disharmony that exists between Whites and Blacks. 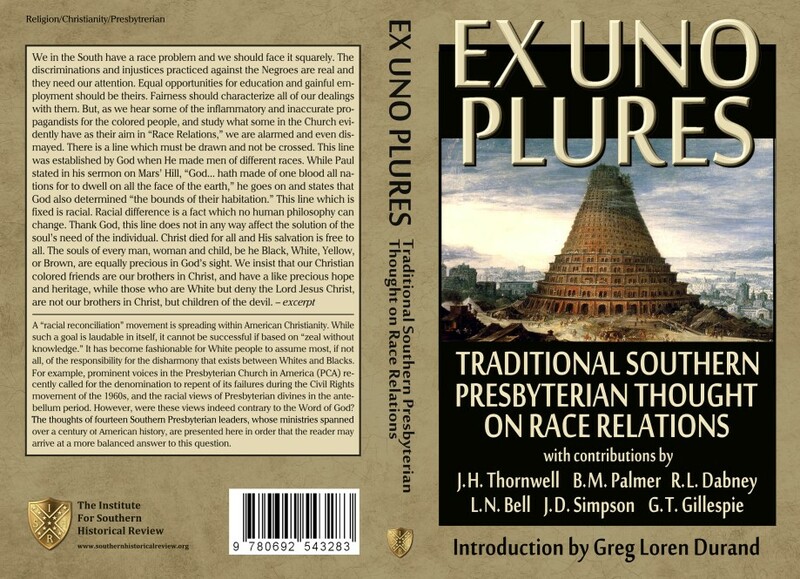 For example, prominent voices in the Presbyterian Church in America (PCA) recently called for the denomination to repent of its failures during the Civil Rights era of the 1960s, and the racial views of Presbyterian divines in the antebellum period. However, were these views indeed contrary to the Word of God? The thoughts of fourteen Southern Presbyterian leaders, whose ministries spanned over a century of American history, are presented here in order that the reader may arrive at a more balanced answer to this question.